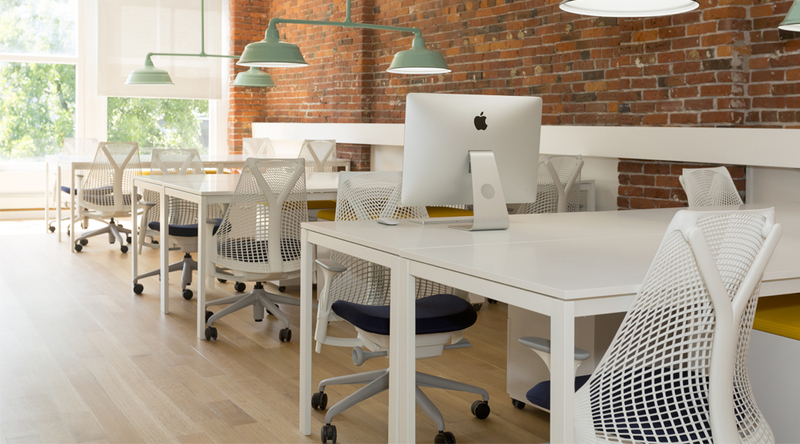 L'Atelier Vancouver is a coworking space and network hub for creative entrepreneurs and freelancers located in Gastown: Vancouver's most vibrant neighbourhood. The space was designed to be to comfortable, bright, and inspiring. 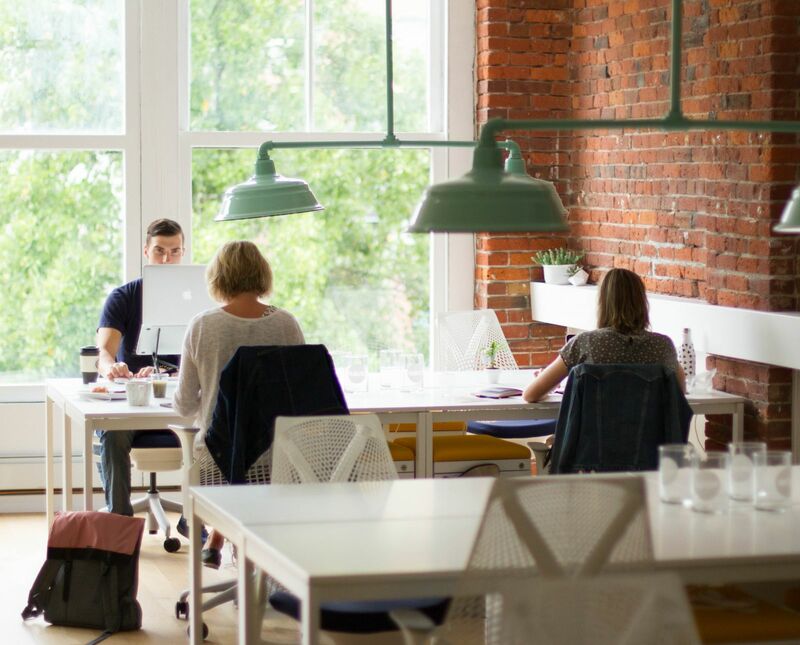 L'Atelier has been ranked in the top 5 coworking spaces in Vancouver and amongst the top coworking spaces in Canada, partly because of its beautiful design but more importantly because of its amazing community of forward thinking creatives doing really cool things! The space design features: Exposed brick walls, industrial light fixtures, Herman Miller Sayl Chairs, modern rugs, and exposed painted piping. 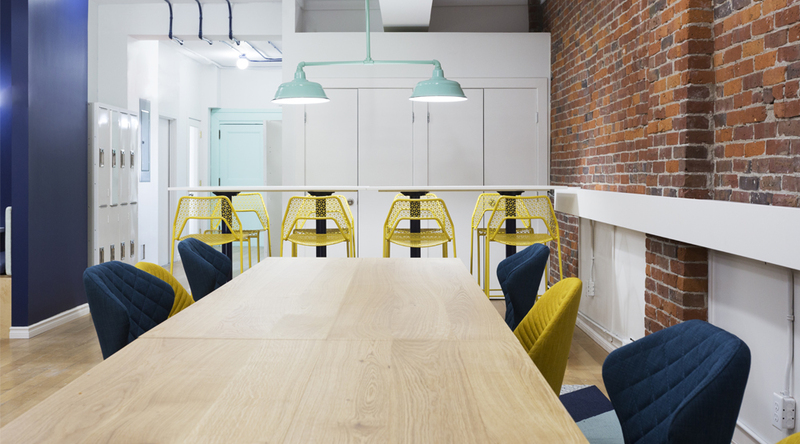 Are you a member of L'Atelier Vancouver Coworking? "Nice place to work from"
My partner and I had the pleasure of working here in mid August. We went on a free trail pass from coworker.com to check it out and we were not disappointed. It is located on the 4th floor of an old building and requires you to leg it up 4 flights of stairs. If you're on crutches or in a wheelchair, this place definitely isn't for you! It's quite cosy upstairs, with both hot desks and cold desks for members. There are fans scattered throughout the space if you're feeling hot from the walk up all the stairs. The kitchen is tiny, but has everything you need. If your talking in the hot desk area be prepared to be heard by everyone, because you're working in pretty close quarters. A guy brought his dog in, which was cool, because I like dogs. Internet was fast, I was pulling 50 mb down. The chairs weren't exactly office chairs, but they were okay. I prefer an ergonomic office chair, but they're not really stylish. There's only one bathroom for the entire office for both males & females, so that's a bit disappointing. I never had any issues with it, but I could see a small line around lunch time. I'm not rushing back to this place, but I'd go again. "Feels like home, but it is an office"
Excellent place to work. Very comfortable, great atmosphere. It has all the elements to boost productivity. The design provides a sense of calm and peace. "Week 16 of Coworking with Cowork22.com "
"The most bright and beautiful space to work." L'atelier Co working is a space that I love to work in. I travel to the city often, and it feels like my home away from home. It is beautifully designed and decorated with a friendly and functional atmosphere. Wifi is strong, as is the coffee. The two private meeting spaces provide extra functionality, and I personally am more productive there than in my own office. I can't wait to go back. "Great people and awesome atmosphere. Period." My first day in the space, there was a 'hustle session' on sales funnels. The talk was amazing, and I learned that they host these regularly after hours to allow members to share what they know to other members. Also, the atmosphere and people are fantastic. I'm excited to be a member! Great space, Well put together. Often community events and ways to get to know each other. "Beautiful Space & Amazing Location"
I have never been in a more beautiful coworking space! Everything is so aesthetically pleasing that it actually motivates you to work. All members are very friendly and you couldn't be in a more ideal location. Everything you need is nearby. This is the perfect place to get work done or have a meeting. It comes highly recommended. "Friendly, Convenient & Beautifully Designed Coworking Space"
I found this space to be one of the most reasonably-priced and well located coworking spaces in Vancouver. The hot desk/common area has a variety of seating options. It has all the amenities you need and I find myself to be very productive when there. There are also events happening regularly too. Highly recommend this space! I currently hot desk at L'atelier Vancouver Coworking and love the afternoons I spend in the space. It's beautifully designed with comfortable desks and multiple seating options, great meeting and phone rooms that are easy to book and social activities scheduled weekly that I try to always take advantage of! "I love coming in to work, and so do my clients!" The space is clean, modern, and has personality - exactly the kind of impression I want to give my clients. Everyone has remarked how beautiful the space is when they arrive. The brick walls are warm and welcoming, along with great natural lighting thanks to the large windows on either side of the building. The location is perfect, in the heart of Gastown. Absolutely no shortage of amazing coffee, eats and happy hour spots for mid day munchies and entertaining clients. 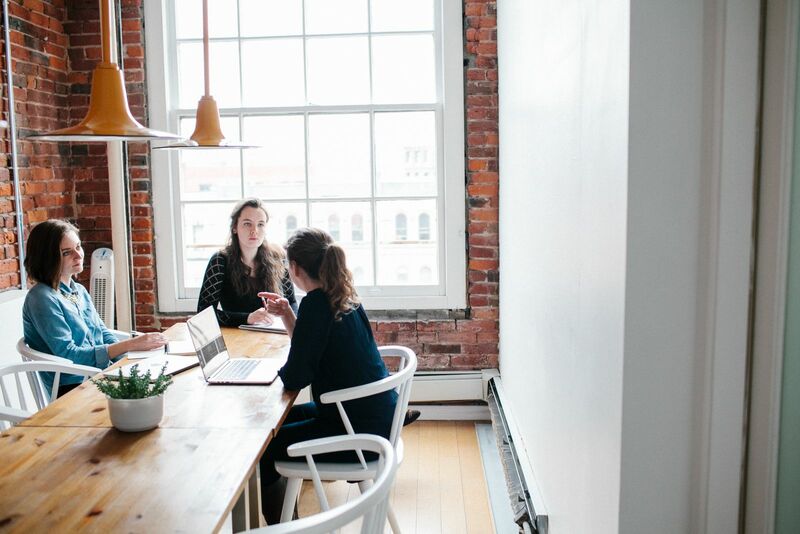 The meeting rooms offer flexibility if I have important calls or need to brainstorm, and everyone is very open to making connections - a huge perk. I love coming in to work. I've been working from L'Atelier for about 7 months now as a permanent desk member. I've made new friends, met a business partner and learnt a bunch from other members. More than just a place to work from, L'Atelier is a community of like-minded people. 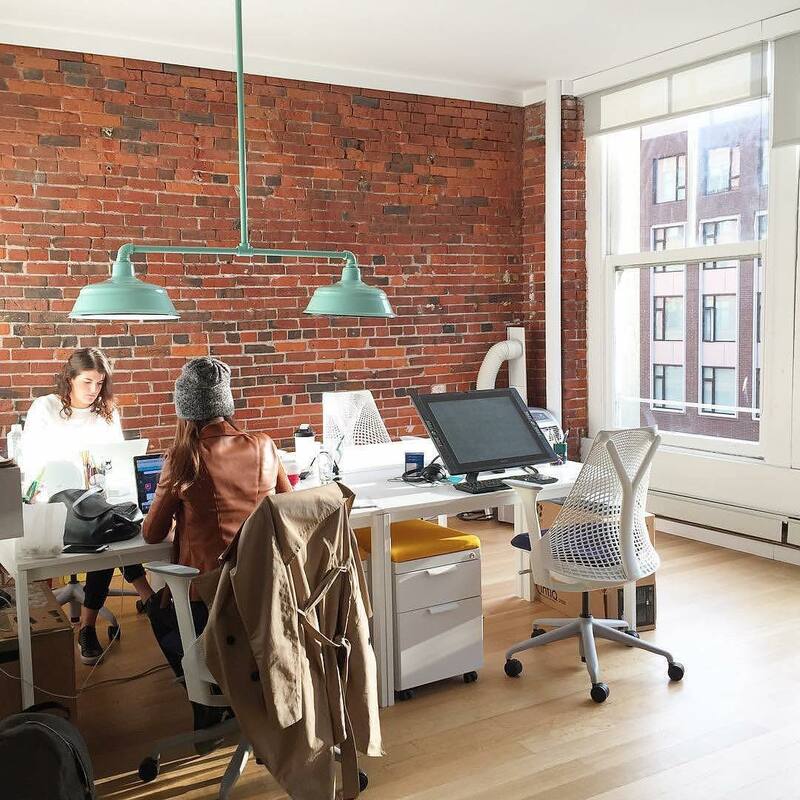 "Great co-working space in Gastown"
I have been a member of L'Atelier for 3 weeks now... and I really love it! There is a lot of space and Sabrina nailed the interior decoration of the place!! I feel great coming to L'Atelier every day and the atmosphere encourages productive work. I highly recommend L'Atelier to anyone looking for a nice, comfortable and productive environment to work from. I've been a full-time desk member since L'Atelier Co-Working opened, and it's been the best choice I've made for my productivity and overall wellbeing. I've met dynamic people doing cool things, who have turned into friends, and being an extroverted entrepreneur, it's great to have a place to go everyday and be around creative energy. I highly recommend L'Atelier to people looking to change up their 'working from home and coffee shops' life and have somewhere to call your office - and a cool one too! This place is one of the nicest and most pleasant space to work in! The people are nice and the athmosphere is great. You can even get free coffee and take part in amazing events! Great productive atmosphere to be creative, get work done, and meet a great group of co-workers! Great atmosphere, beautiful design, friendly co-co-workers, and huge windows make this the best co-working space I've ever been to. Plus the wifi is fast, and there are no loud talkers here :) People chat, but keep their voices down, and always use the phone booth / meeting rooms when they have meetings. Lots of space, open and bright and great atmosphere to be productive. "Great atmosphere and a great place to get work done"
L'Atelier has a gorgeous and comfortable workspace that really helps you to be as productive as possible. There's a great social atmosphere here with events every week. The type of people who work here is very diverse - it's not just for people in a certain type of profession. You'll find copywriters, graphic designers, web designers, developers, marketers, social media experts, wedding planners, and entrepreneurs of all types here. Pricing is pretty good as well, with a variety of options available depending on how much time you plan on working here. "The community is great! Location is excellent." I live an hour outside the city so having a central place to work is amazing. It's close to transit which shaves a lot of time off my commute and the people are awesome. "Amazing Space and Coworking Community"
Working at L'Atelier has been amazing! Sabrina has created a fantastic work space with beautiful aesthetics (and I've looked at a few). You walk in the door and just want to stay. I've also enjoyed the people I am meeting and coworking with. Sabrina goes out of her way to foster a community, with cool events, and that creates a positive vibe for everyone. After doing an absurd amount of research, I've found that L'Atelier is definitely one of the best co-working spaces in Vancouver. The design and decor of the space itself should be why you come here. It's bright, beautiful, and relaxing. The wifi is great, and there are a ton of outlets, which is are the two things I was specifically looking for in a co-working space (and it's something that a lot of cafes lack). Sabrina, the owner is so welcoming and is always willing to go above and beyond for her members. She works hard to bring us all together. When I first came in, she introduced me to everyone who was working in the space that day. She takes the time to get to know you and will work to accommodate what your working needs are. She even hosts lunch for us sometimes during the week, and Happy Hour Wednesdays as a way to build the community at L'Atelier. Another bonus is the free coffee and kitchen appliances. Keeping me caffeinated throughout the day and giving me a place to store my lunch is points in my book! If you're looking for a co-working space, definitely come to L'Atelier. Sabrina will make you feel right at home! L'Atelier is a refreshing​ Oasis of serenity in the bustling Gastown area. The owner mans the reception herself, and makes sure everyone is super comfortable in their space. She also does a fantastic job building a community of like-minded creative individuals. "Great space in great location!" Beautiful space, all the amenities you need and Sabrina cares about making sure you have a great experience. Highly recommended! L'Atelier is the best of both worlds: a co-working space that feels cozy and welcoming—all working areas are super comfortable and I can easily spend hours in there working away—while also maintaining a sleek, professional atmosphere that is perfect for productive days. Other spaces are either too crowded, too loud, too messy, or so impossibly white/shiny that they don't inspire you to hang out. L'Atelier's careful balance of all these factors makes it invaluable for a freelancer like me who needed to find someplace quieter than a coffee shop and more energy-inducing than home. Plus, the location is the best in town, with no shortage of lunch and excellent beverage options. L'Atelier is a great coworking space. Our design studio moved into the space in March and we love it. It is beautifully designed with lots of natural light and there are lots of great companies and people who work out of here. It's in a great location close to all our clients, startups, and agencies...and lots of great coffee shops and restaurants as well. L'Atelier has everything one needs. It's a community full of like-minded individuals. Most importantly it's inspiring! When you're there, you feel comfortable, driven, and empowered. "Beautifully designed space with a great atmosphere"
There are many good things to mention about this space. The Gastown location is very central with the city's best restaurants and coffee shops within a 1-2 block radius. The interior is designed with a good eye for details and colours -- this contemporary/fun look makes this space stand out from the other coworking offices. A couple of times a week, they also have community events (after 5pm) which range from professional develoment to fun activities. The general atmosphere is friendly and professional. 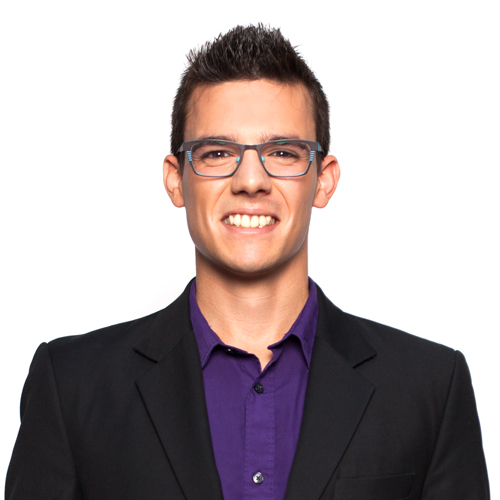 I'm a designer and developer who rents a dedicated desk at L'Atelier. I've managed to accomplish an incredible amount of work since joining the community. This office is gorgeous -- well-lit, Scandinavian/modern design, calming -- and Sabrina makes folks feel welcome. Location is central, in close proximity to great food. Love the community at L'A. Central location. Calm atmosphere. Nice people. It is a pleasure to go in to work there. I really enjoy it. 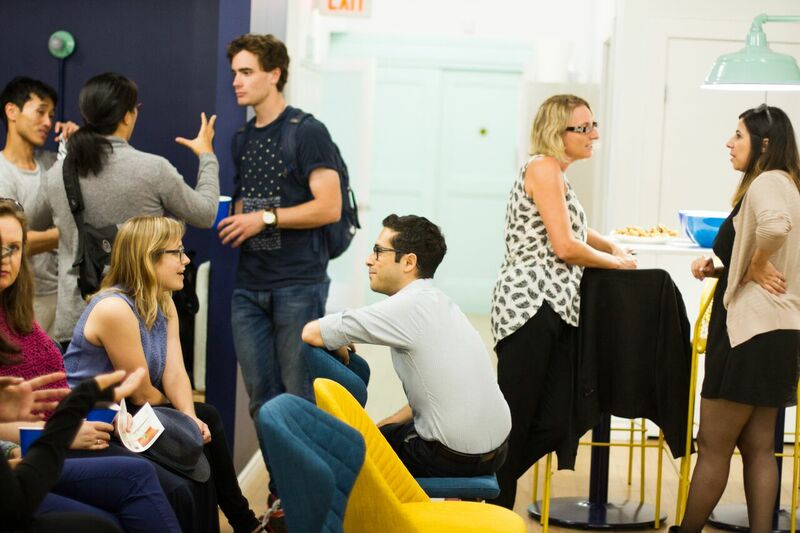 "My FAVOURITE coworking space in Canada!" As an entrepreneur who worked in Toronto, Ottawa and Vancouver, I can confidently say that L'Atelier is the best coworking space I've been to. It's bright, spacious and beautiful so that you want to stay there all day. The owner is extremely friendly and is ready to help you with anything you need. The atmosphere is welcoming and warm. I would highly recommend it! 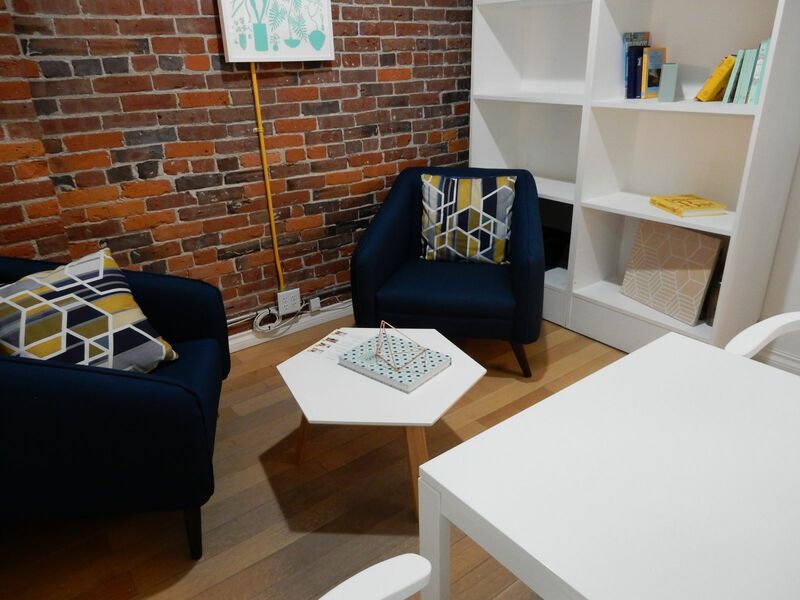 L'Atelier is a beautiful work space with a fun and supportive community of entrepreneurs! I felt at home as soon as I joined and have loved the networking opportunities the space fosters. Awesome atmosphere, perfectly decorated. L'Atelier fits my style better than any other coworking space I've seen in Vancouver. I constantly recommend this place to all of my friends. "Well-designed space full of creative people"
I had a good experience working from L'Atelier. The ergonomics of the furniture were good, the location was ideal and everyone I met there was friendly. The owner Sabrina is very helpful. L'Atelier sits right in between my two favourite coffee shops in the city - Nemesis and Revolver. Go explore Gastown when you need to stretch your legs and take a break. 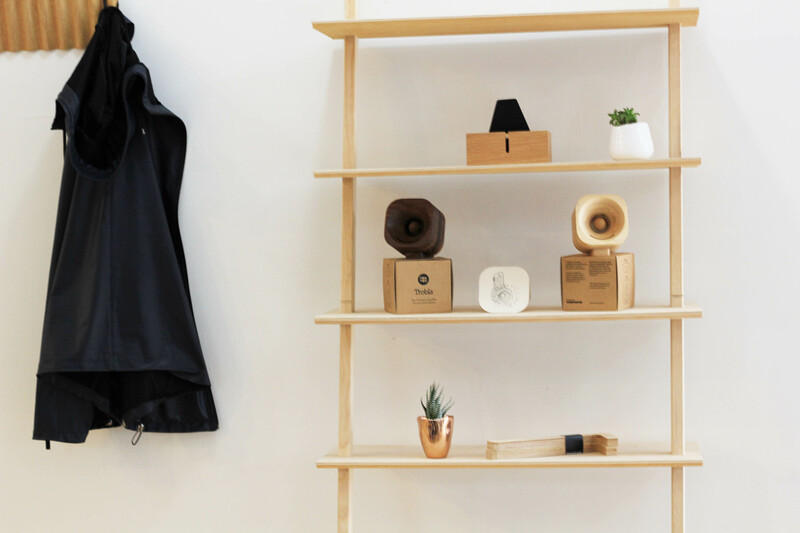 The neighbourhood offers a great dose of inspiration to get you out of any creative funk! Grab lunch from Meat and Bread, which is just down the road at Cambie & Hastings. Opt for a dedicated desk if you can! Sabrina will make you feel right at home! Revolver is around the corner, and one of the best coffee shops in Vancouver. Great coffee shop right across the street. Gastown around the corner with restaurants. Taishoken ramen up the street is unreal. Go early - there's usually a lineup at lunch. L'Atelier Vancouver Coworking will be in touch with you soon to confirm. L'Atelier Vancouver Coworking has received your membership enquiry and will be in touch with you soon.